This article is written for Office 365 Business subscribers using it as their internal and external mailing system. 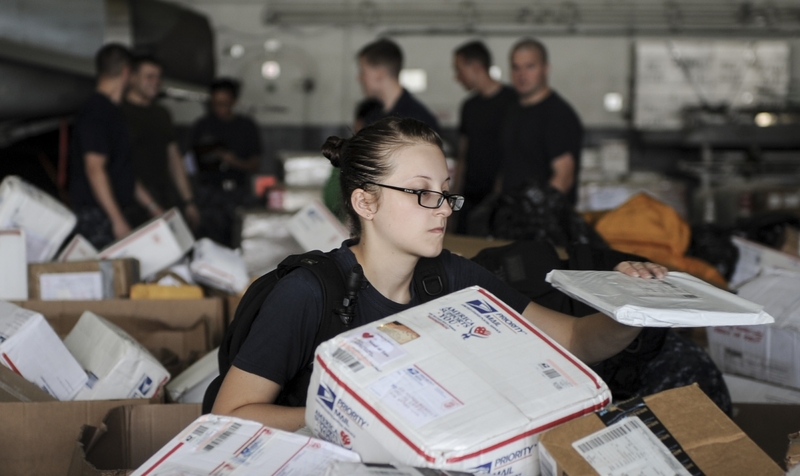 When your business is growing, you can start facing a mess in your mailbox. 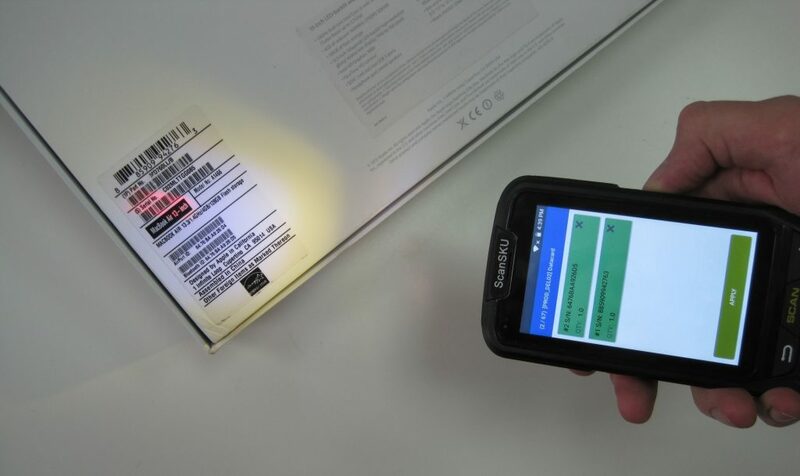 It indicates that you need to integrate your mailing system with ERP or CRM. That way, you can continue to use your favourite mail client, while all communications are synced in structured way into ERP/CRM for managing sales, tasks, support tickets and etc. 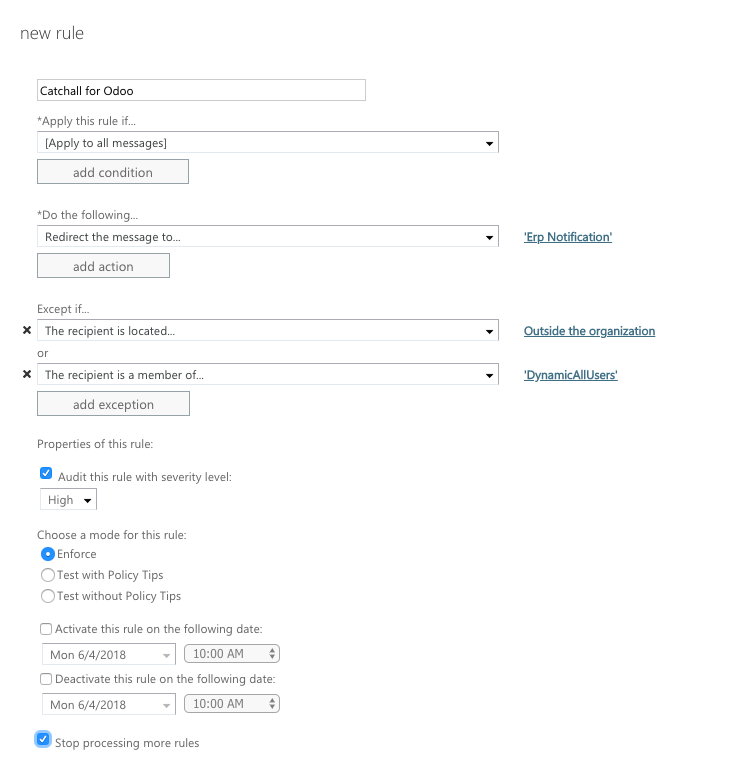 This guide provides a full set of instructions on how to configure your Office 365 Exchange to work with the Odoo ERP system. 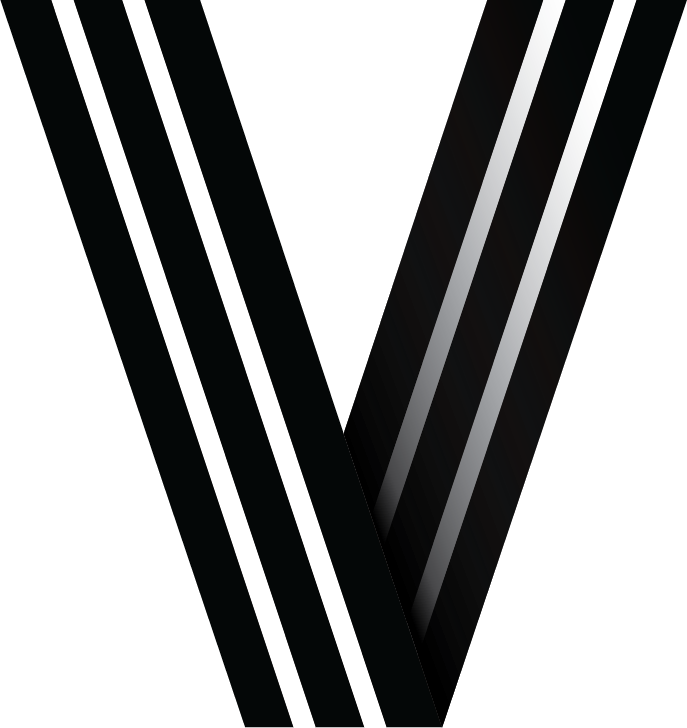 This guide was written with the goal to be an A-Z guide. If you find that this article is not complete enough or something is not clear, please leave your comments down below and we will correct instructions and add clarifications to it. 1. 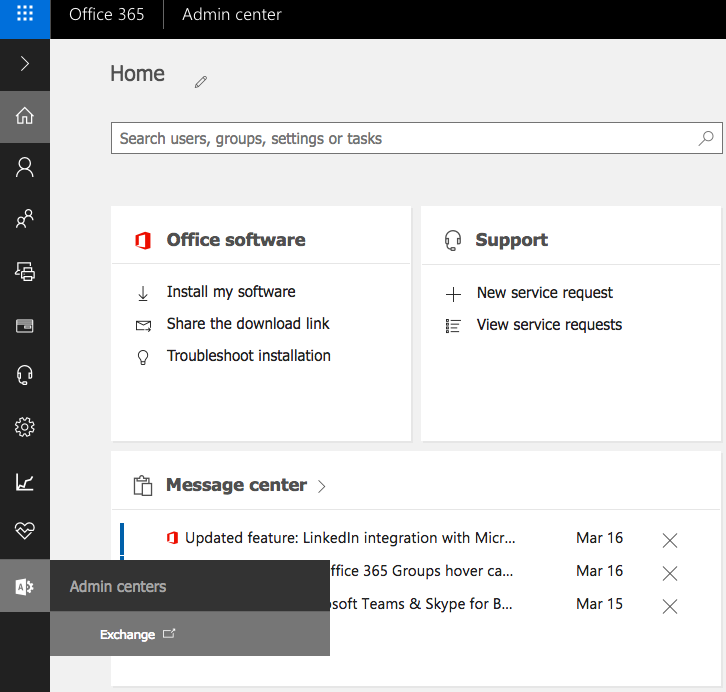 Assumption is that you are already a user of the Office 365 Business subscription that includes Exchange Server. E.g. “Office 365 Business Premium”. 2. 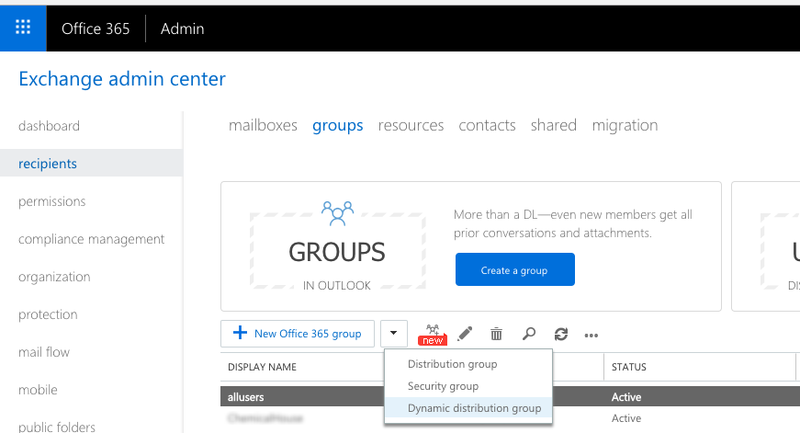 You are already using mailing features from Office 365. Meaning you are not a new Office 365 subscriber. If you just purchased a subscription and haven’t configured anything yet, you first need to perform an initial setup by following the official Microsoft guide. It is especially important that you already have properly configured your custom domain. This Microsoft guide can help you with this. 3. People executing the steps below need to have Administrative access (Role: Global Administrator) to https://portal.office.com. That is needed in order to create new users and groups on the Portal. According to official Odoo documentation, You can use an Office 365 server if you run Odoo on-premise. 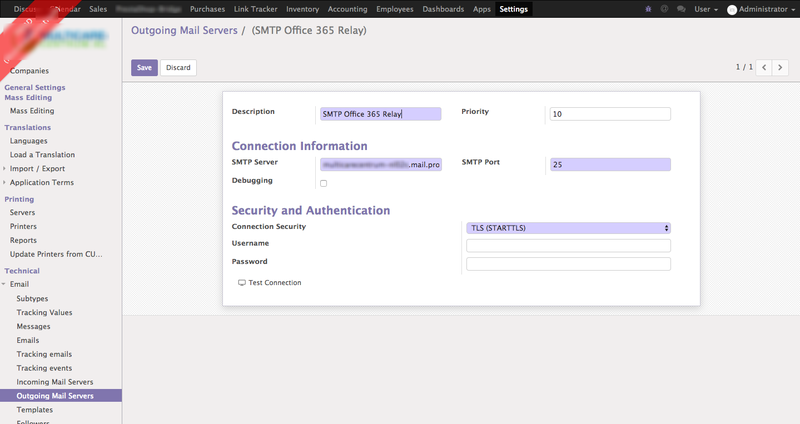 Office 365 SMTP relays are not compatible with Odoo Online. If all above preconditions are already fulfilled, then you can go ahead with next steps. In this section, you will learn how to configure Office 365 to act like a relay server. Let’s imagine that you are getting an email from a potential lead to the address hello@company.com. Imagine that potential lead’s email address is john@example.com. Odoo ERP catches this email and creates a new Opportunity in the CRM Pipeline. And after Odoo creates it – it needs to send automatic emails to all followers, to inform everybody about the new Opportunity. As it is now implemented in Odoo ERP, the email will attempt to send FROM the email of the lead (e.g. john@example.com) and not from some generic email like erp@company.com. The reason why Odoo is doing it is to make sure that this email will be beautifully displayed as belonging to a real person and not to look like an automatic notification from ERP. 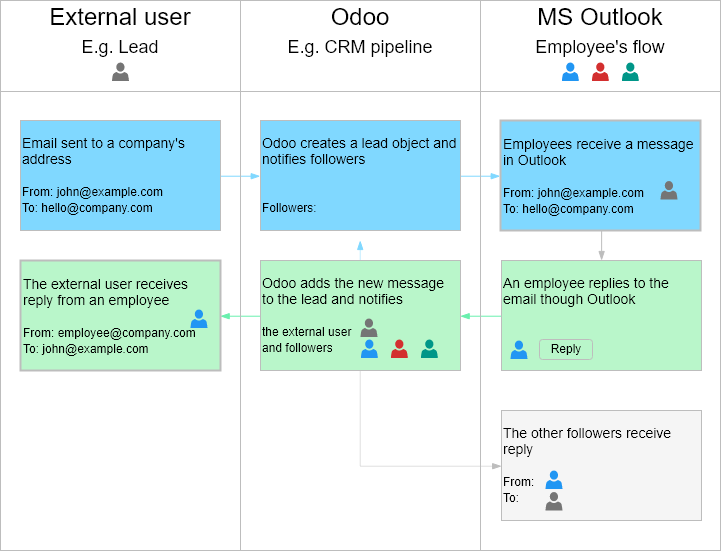 And obviously when you respond to the person through Odoo CRM, your lead will also see that email is coming from realperson@company.com instead of some generic email erp@company.com. So the intention of Odoo is clear – they want to ensure all messages from ERP are personal and do not look like an automatic notification. But that gives additional headache relating to the mailing system configuration. Now here are the steps to configure the Outgoing Mail server. 6. 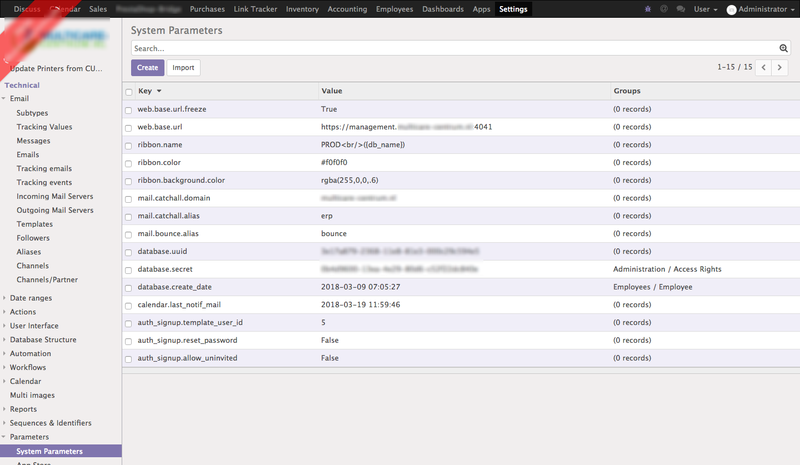 Select checkbox to verify allowed senders by IP address and add IP addresses of all your Odoo ERP instances. That is a type of whitelist. Office 365 will trust messages sent from those IP addresses as safe. 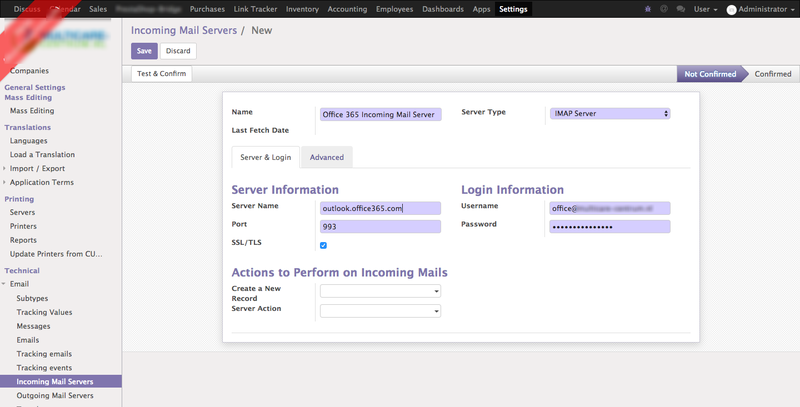 Office 365’s outgoing mail server is now configured and ready to be used with Odoo. 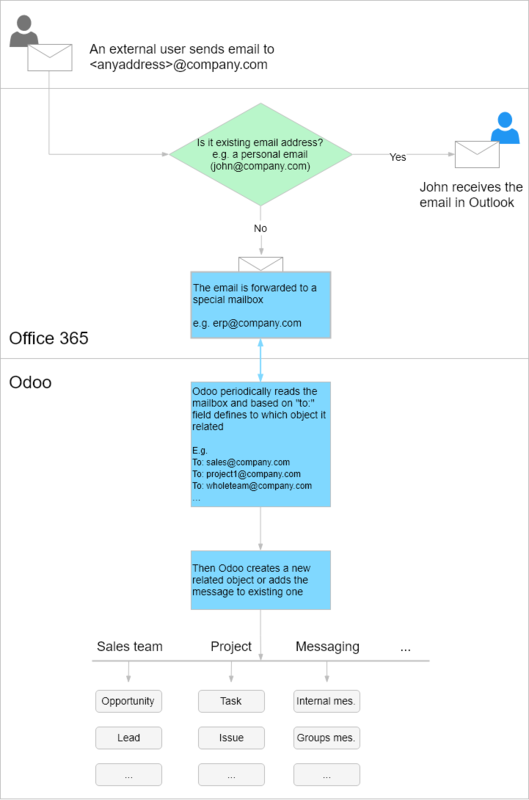 But before proceeding to Odoo-side configuration, let’s make Office 365 ready to receive incoming mails for Odoo. This is described in next step. 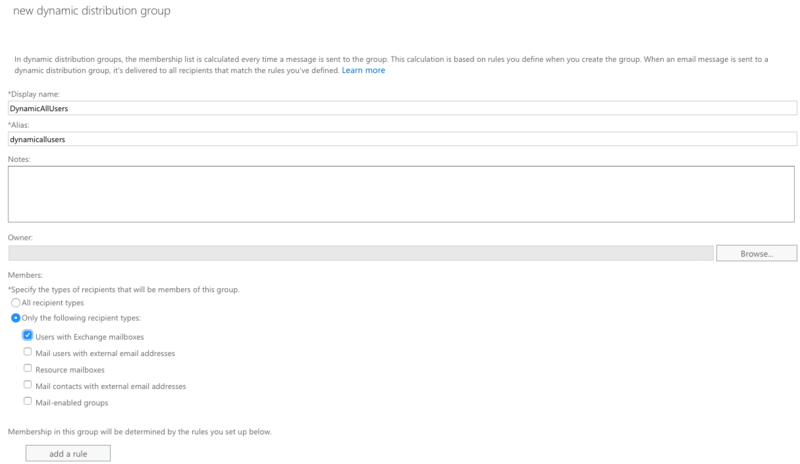 In this section, you will learn how to create a special mail address in Office 365 that will collect emails sent to unknown receivers (meaning no User exists in Office 365). 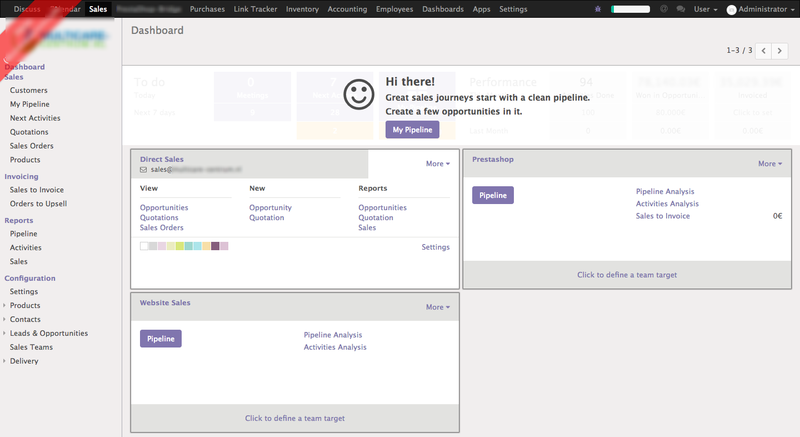 In Odoo ERP it is possible to configure multiple Sales Teams, Projects and etc. Any objects you want. For example, you may want to have a Sales Team with the name “Initial Processing Team”. That sales team should process leads that are received to the email address “hello@company.com”. Also, you may want to have separate Sales Teams which will be responsible for processing emails sent to addresses “asia-sales@company.com” and “europe-sales@company.com” or more. You may configure as many email addresses as you want and obviously those email addresses will not be real emails in your Office 365 Portal. So to avoid lots of manipulations in the Office 365 Portal when you are adding something new in Odoo ERP (new project, new sales team and etc. ), it is better to configure single email addresses that will be the only endpoint for all emails sent to nonexistent mailboxes. 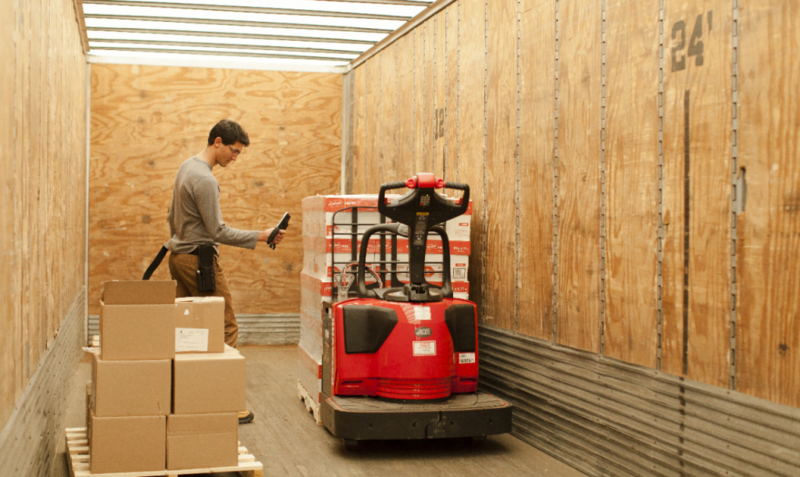 That way Odoo ERP can easily process them, and no emails will be lost. 2. Click on the button “+ Add User”. 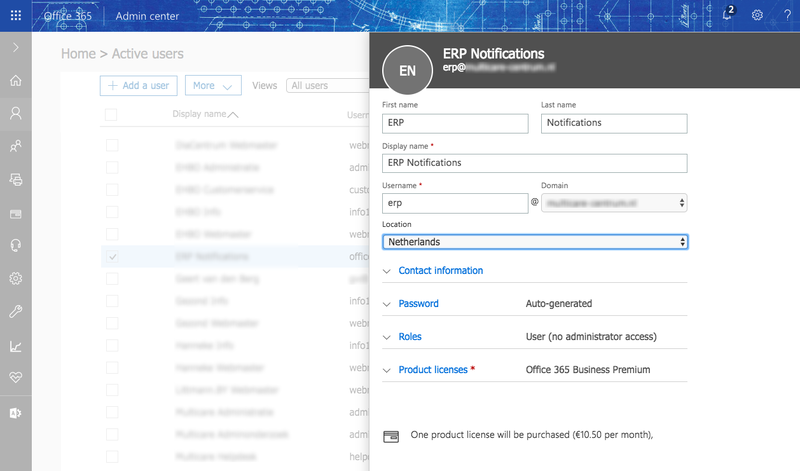 Create a new user like “ERP Notification” with email erp@yourdomain.com. You can choose any email address you want. 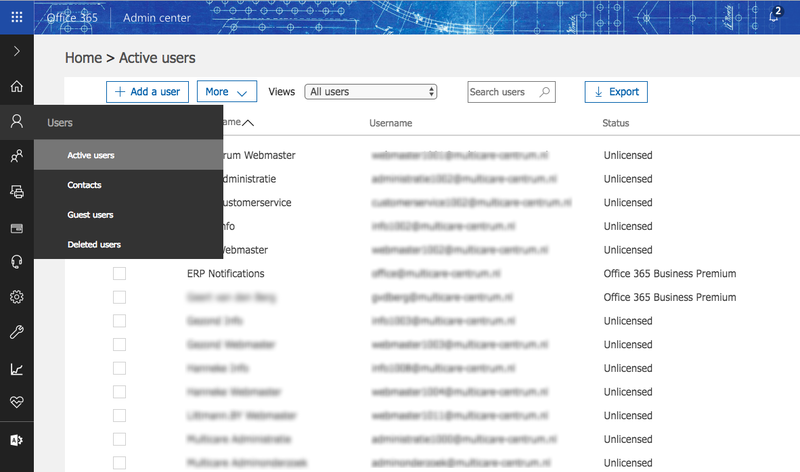 Note that Role of this user should be “User (no administrator access)” and Product License should have the status Office 365 Business Premium or higher (as you see near some emails in column “Status” on the image above) as this user should have a separate mailbox. IMPORTANT! Make sure to remember the Password that is automatically displayed after you create a user. 3. Now let’s open a separate anonymous browser window and do an initial login to the account created above. 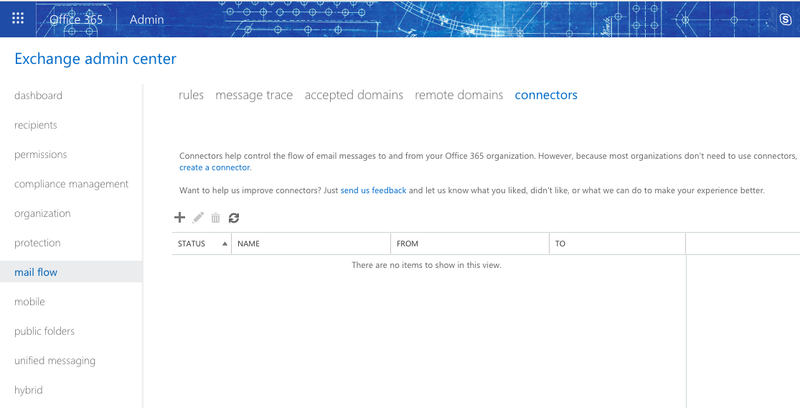 Use this URL https://outlook.office365.com/owa/ – this is direct URL to Outlook. System will ask you to change password. Remember the password also! And select other preferences. 7. 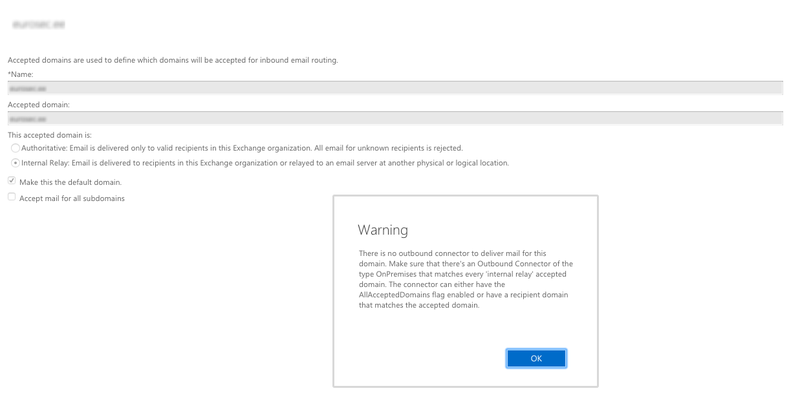 Now we need to go to the menu “Admin Center -> Exchange ->mail flow -> rules”. In this section we are going to create a special mail flow rule that will allow you to catch all emails to unknown email addresses and will forward them to erp@yourdomain.com, so Odoo ERP can process and analyse them. 9. As a result, after saving your rule it will look like the screen below. 1. You need to install this module https://www.odoo.com/apps/modules/10.0/fetchmail_notify_error_to_sender/ At the moment of writing this module is avalible only for Odoo 8, 9,10. If you need this module with other versions, please let us know. 2. After installing this module, when some user is sending an email to some mail address that does not exist in Office 365 and does not exist in Odoo ERP (no objects are associated with it), then he will receive the message below automatically. During the previous steps, we have configured Office 365 as a Relay Server. The steps below will help configure the server to work with Odoo. 1. Go to the special online tool https://mxtoolbox.com/. This tool allows to retrieve DNS records registered for your domain quickly and display them to you. Specifically now we are searching for all MX records for our domain. Enter your domain name (e.g. yourdomain.com) in the text box and click “MX Lookup”. As result you will see a list of MX records. One of the records “Hostname” is ending with “outlook.com”. Copy it as we need it on the following step. Incoming mail server is needed to allow Odoo to scan some particular mailboxes for new emails. And depending on the “To” address, it can create new objects like Leads, Tasks and more (or add messages to existing objects). Below are the steps needed to make this configuration. After saving you need to click the “Test & Confirm” button to verify that everything is properly set up. 2. Check that on “Advanced” Tab you have set field “Error notice template” to the value “Fetchmail – error notice”. Or in other case, when user will send email to nonexistent mailbox that cannot be processed by Odoo – he will not get error message about it. Finally, after performing the steps above, we can test if emails are working as expected. The easiest way to do that is test it on a CRM pipeline. d.Followers (in the bottom – left corner) – add users that should automatically receive mail notifications when a new lead is coming. 3. 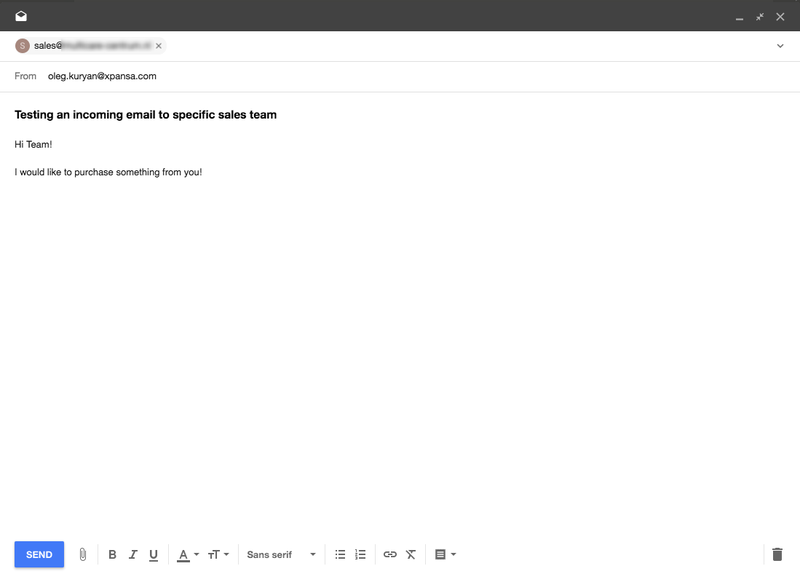 Now send something from your personal email address to the mail address specified in Sales Team. Wait for at least 5 minutes. That is the period that Odoo is configured by standard to download incoming mails. 4. Now go to menu “Sales -> Dashboard” and click on Sales Team “Direct Sales”. You will see that new Opportunity was automatically created from the incoming email. Bingo! You are done with your configuration of Office 365 and Odoo ERP. If you think that this article is helpful, please, share it on social networks. Sharing Icons are available below the article. 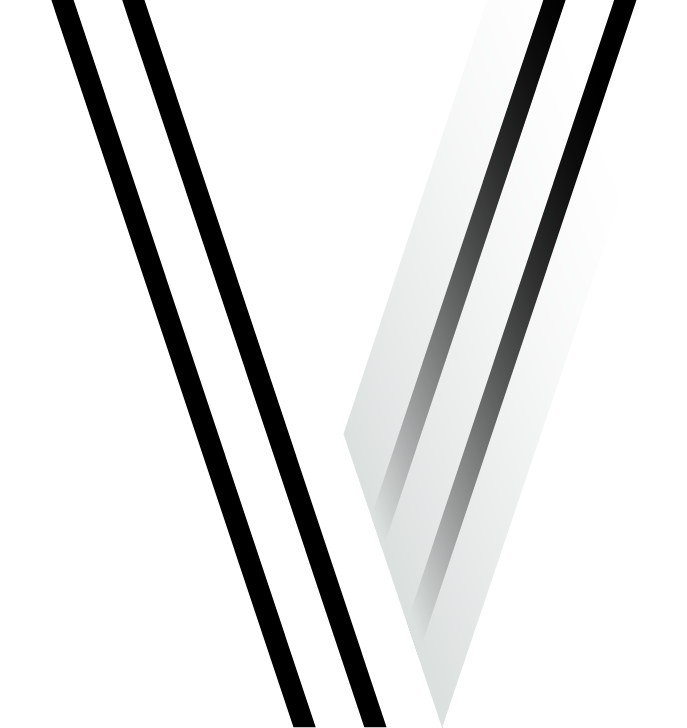 Subscribe to our newsletter and follow Ventor.tech twitter to be kept up to date. If you need help in configuring your Office 365 properly with Odoo ERP or found some issues / mistakes in the article, please leave your comments down below. We will be happy to assist. Need help with your Office 365 or other Odoo integrations? "And obviously when you respond to the person through Odoo CRM, your lead will also see that email is coming from realperson@company.com instead of some generic email erp@company.com." and a number of other services _DO NOT CLAIM TO BE THE ORIGINAL SENDER_ in the emails they send. For instance, GitHub conversations will be sent from the address "GitHub Username ". 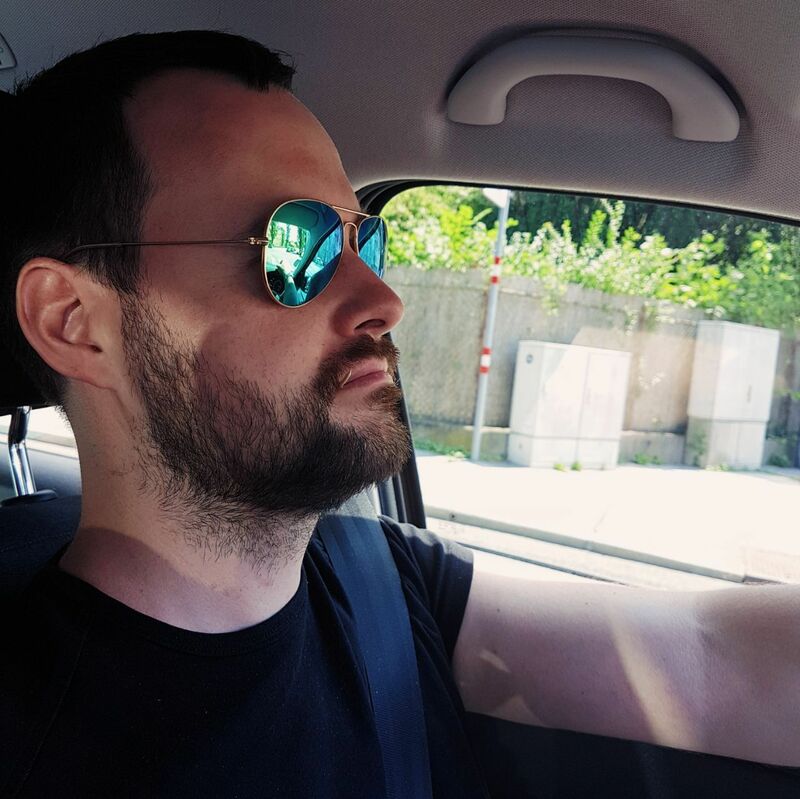 We stopped using Office365 emails for our clients because a few clients had a high spam rate in outgoing mails sent by Odoo, even though all the settings and DNS configurations were properly set. Our default configuration contains a module that can be used to set a static Sender address, static From address, static Reply-To address and now even create an alias for every thread. The latter feature was developed because some email clients (read: some versions of Outlook for Windows) don't preserve the headers that Odoo includes in the emails. But luckily even those email clients respect the Reply-To address, so we can add the custom autogenerated email alias to every message. We will most likely contribute this module to some OCA repository. It is very easy fix that replaces FROM header in all outgoing mails always to be equal to SMTP username of the outgoing mail server. I started digging deeper and found out that it is POSSIBLE setup. And even such providers as Office 365 and Google Apps allows this setup. One limitations I know is that Google is not allowing to relay addresses with "@*.ru". Also hotmail has more strict SPF policy and sometimes mails are not passing. Moreover, other transactional services like MailGun can be used for this to avoid using your own mail server for this purpose. Moreover, I recommend to use them rather than your own Google Apps or Office 365. Just to be 100% on safe side. Also just to finish this technical discussion, as far as I know from here SPF FAQ , SPF protection was designed only to verify the Return-Path/Sender/Bounce/Envelope-from of an email (at the SMTP transaction level), and not "From" header of an email. That is why still this setup (as relay server) is working fine even in current modern world. So from TECHNICAL point of view I agree with you that this article is not 100% reliable solution, cause it more relies on standard Odoo mechanism that is not perfect. Moreover, as you indicated - some mail clients (again Microsoft =) ) do not appropriately handle mails from Odoo when we reply to them. An easy fix for Odoo will be that emails will be from single email address (so will be like FROM: "Oleg Kuryan via Odoo ". That can be done with module I mentioned above. Even better solution will be github like solution. Means every partner in Odoo will get his own alias (like okuryan-alias-odoo@yourdomain.com). And such aliases will be generated for every partners in unique way. If Odoo will support such setup - that will be much better. AFAIK, there is no such solution in Odoo world yet. We were not planning to work on such solution, but if you are ok with it - we can collaborate on this to provide to the Odoo world such a solution. Note, that this article was created to provide instructions on setting up email + Odoo in a way Odoo S.A. designed it by standard. Will be happy to communicate about it further as this is very interesting topic to me. Mail delivery failed via SMTP server 'None'. 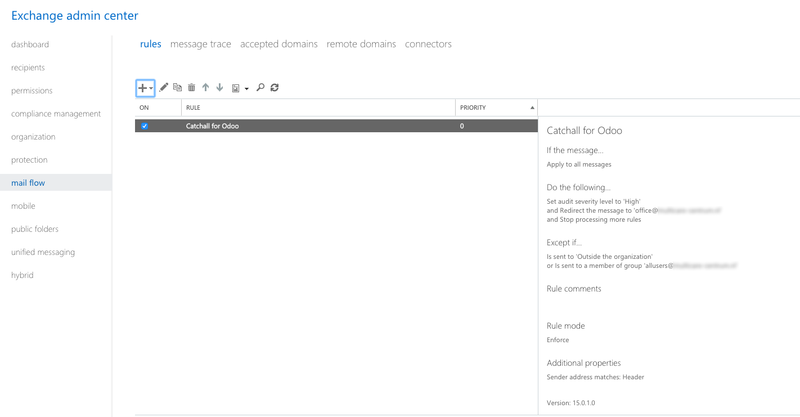 Follow step by step section "Configuring Outgoing mail Server in Office 365 as Relay Server". Most likely you haven't put proper IP address of your server at the last step. (1) The "erp@mydomain.com" account is assigned with an "Office 365 Business Essential" license instead of "Business Premium". 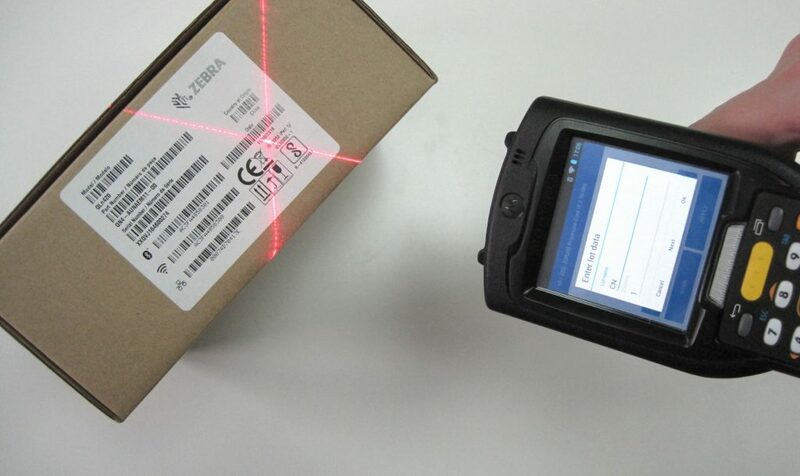 It seemed Business Essential license is the minimum subscription level which IMAP access is granted. Not sure nor tested if POP will work in this case. 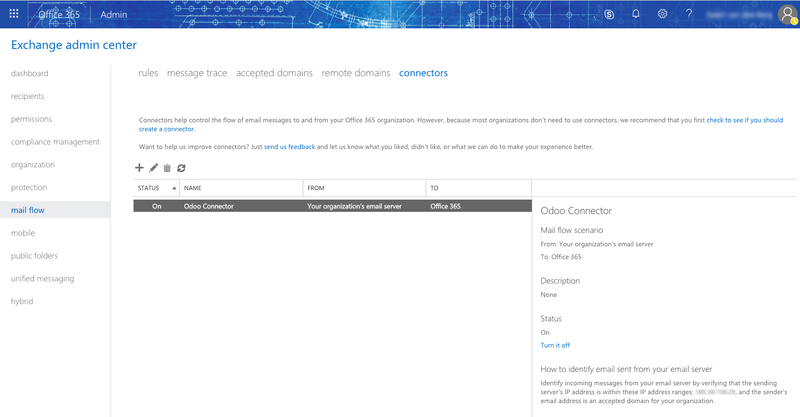 (2) We have 3 domains configured at the same Office365 tenant, e.g. We configured the "ERP account", the "CatchAll Rule" and "Internal Relay " ...etc., all with the domain name "Company-Y.com". At the step setting the domain type to be an “Internal Relay”, the "Make this the default domain" checkbox is grey-out (because Company-X.com is the default domain). We did NOT install the "Odoo module to inform users that they used the wrong email". The result is -- it does CatchAll, but seems not Relaying -- all the incoming and outgoing emails from both domains Company-X.com and Company-Y.com are caught to "erp@Company-Y.com", but not further relayed to the email's recipients. The same occurs to the emails from third-party email providers such as "personal-email@outlook.com". After following your guide I get “timed out” error when testing smtp server. Odoo 10 is running on vm in the cloud and outband port 25 is allowed in vm and cloud networking rules. First thing you need to check if connection to your host:port is allowed via TLS from your VM. I got this error on my Odoo . Can you advise what need to be fixed. 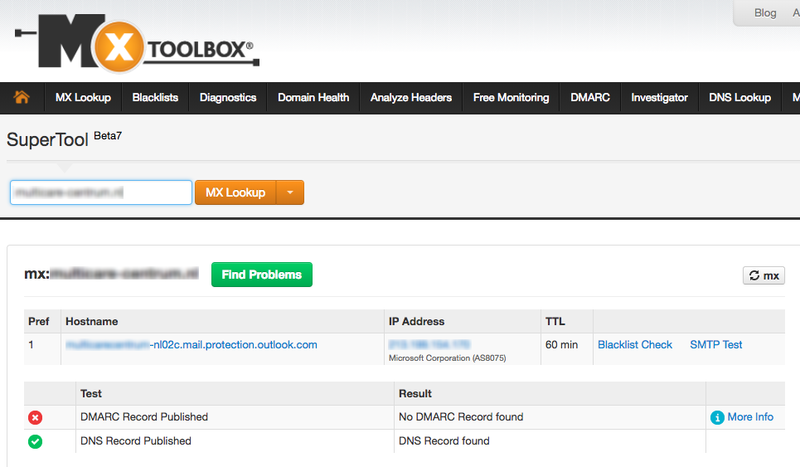 Mail delivery failed via SMTP server 'xxxxxxxxxxxxx.mail.protection.outlook.com'.